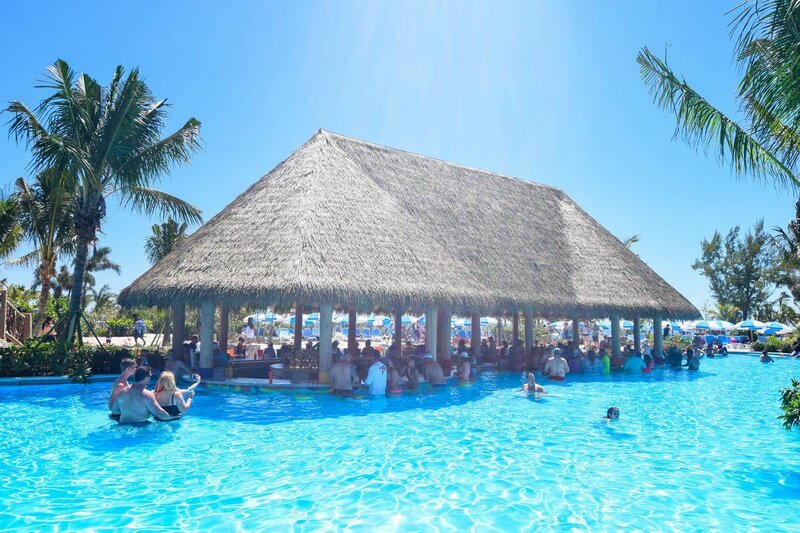 Royal Caribbean has released over 20 new shore excursions for the South Pacific, Australia & New Zealand. 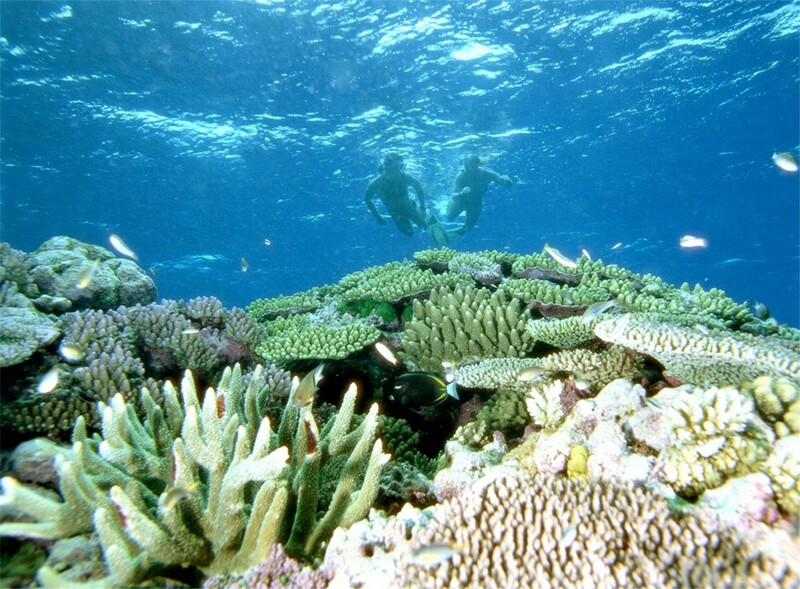 These new tours are designed to accommodate all interest levels, and include tours such as deep sea diving in Vanuatu and helicopter expeditions in New Zealand, to immersive cultural experiences in local South Pacific villages. This half-day tour begins with a leisurely drive through the city of Suva by local bus, including photo opportunities of the picturesque Suva Harbour and Lathala Bay. 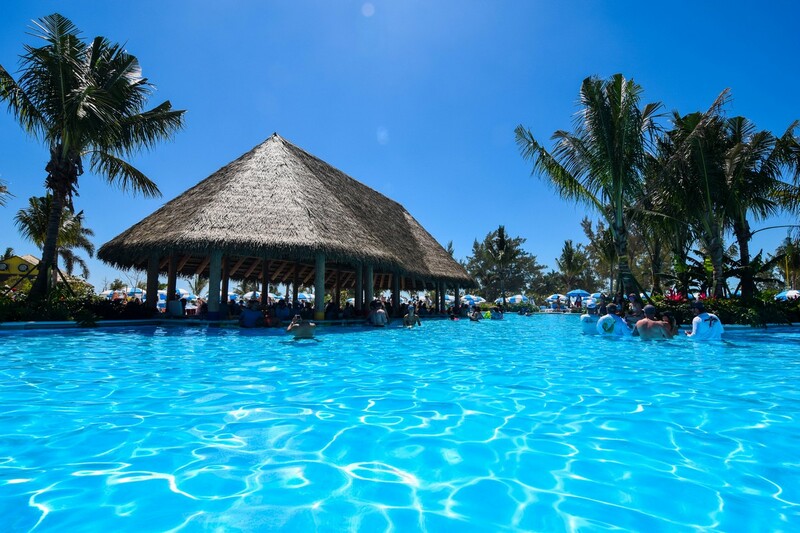 Guests will then arrive at local village Rewa, where they will partake in a traditional Kava ceremony with the village chief and Fijian warriors. The tour starts with a stunning boat ride to Aneityum, Vanuatu’s southernmost isle. 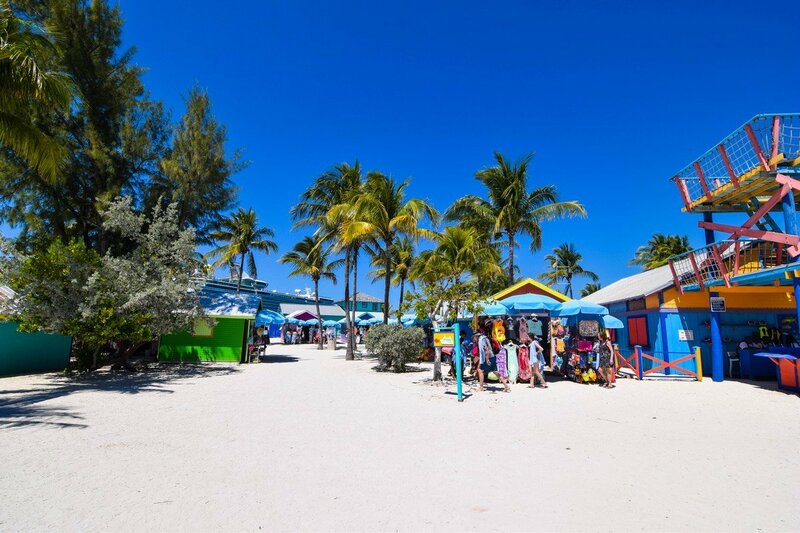 Guests will explore a crystal-clear bay brimming with tropical fish on a guided 1.5 stand up paddle boarding adventure, and unwind on the beach afterwards. Guests can immerse themselves in the dramatic scenery of the Akaroa Harbour on a three-hour, small group paddling adventure in a double kayak. Home to two marine reserves, guests will be on the lookout for rare seabirds, seals and the only marine animal endemic to New Zealand, Hectors Dolphins. 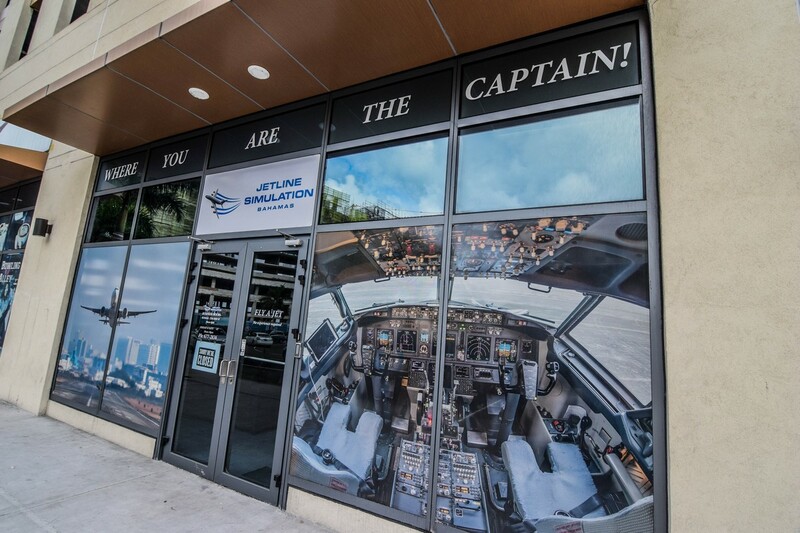 If you are one of those people looking to do something different in Nassau, Bahamas, then perhaps flying a Boeing 737 may fit into that category? 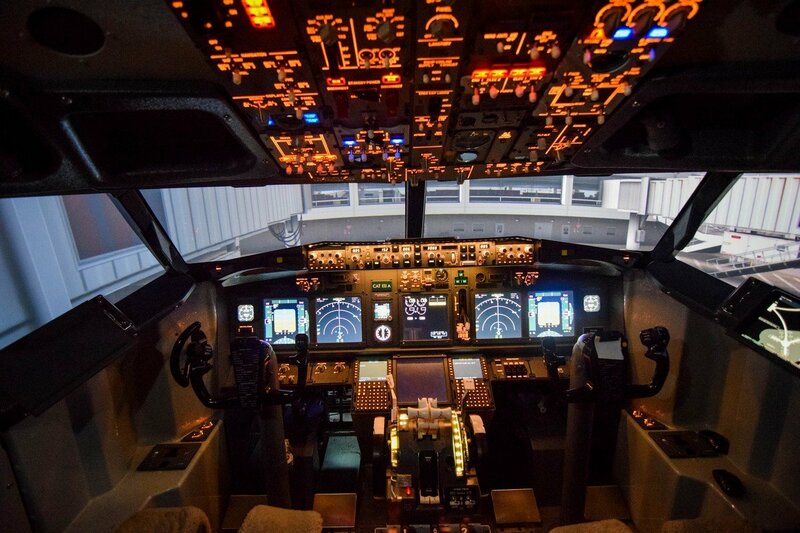 You are not flying a real plane, but rather hopping into a simulator cockpit to take the controls of a 737 airliner to see if you have "the right stuff" to take off, fly, and land the jet in the same way real-world pilots do. I had to find out for myself if I could match up. 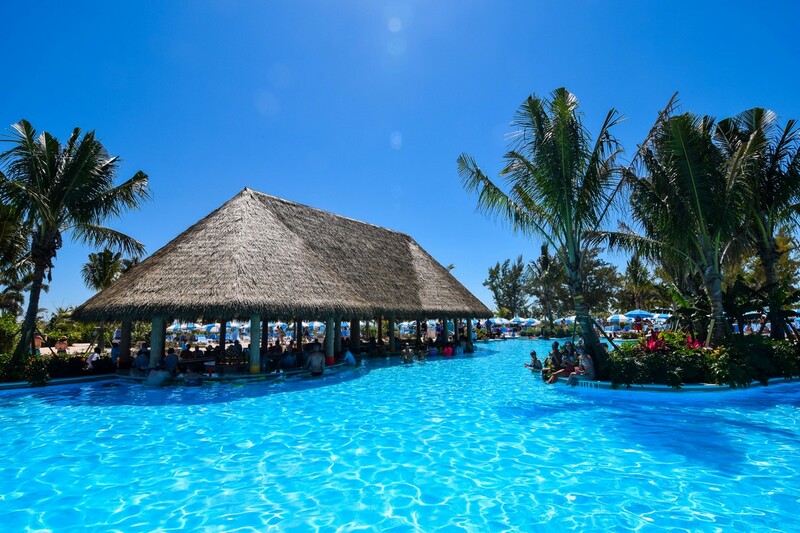 Royal Caribbean recently added the Fly A Jet Experience Jetline Simulation Bahamas shore excursion to select Nassau cruises, where guests can book time in a 737 flight simulator and pick fly a Boeing 737-800NG from one of thousands of airports around the world. 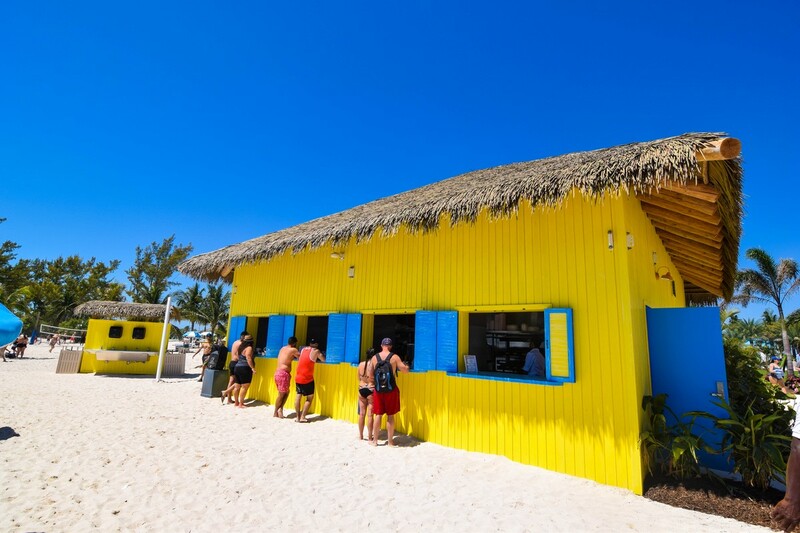 Just like all Royal Caribbean shore excursions, you pick a time at booking and then meet your excursion staff. Each session is one hour long. 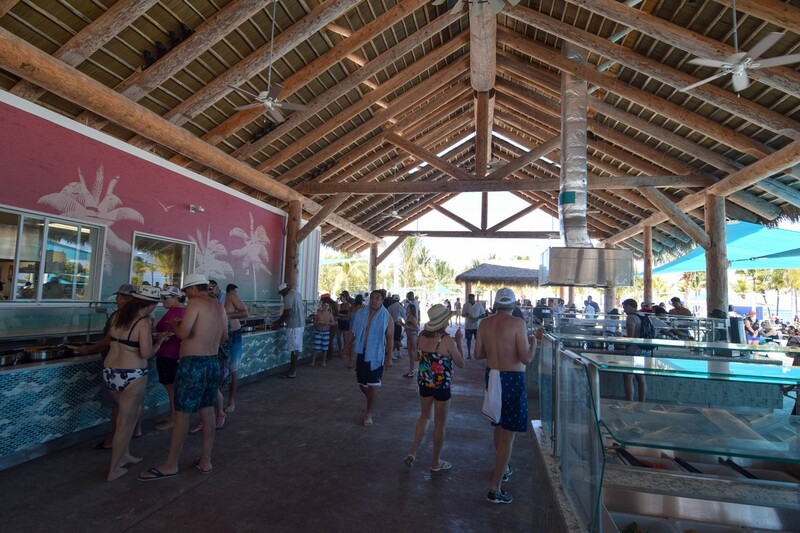 I met my tour on the pier as soon as I debarked my Royal Caribbean ship and to my surprise, it was just me. 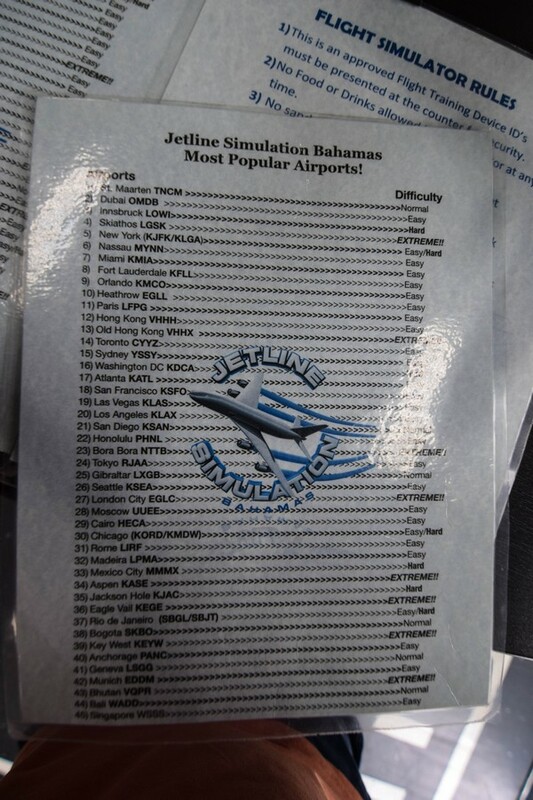 The shore excursion is run by Jetline Simulation Bahamas, and they have one simulator that they can rent out at at time. My guide walked me to the office, which was about a 10 minute walk from the ship (it is located just past Senor Frogs and the British Colonial Hilton). 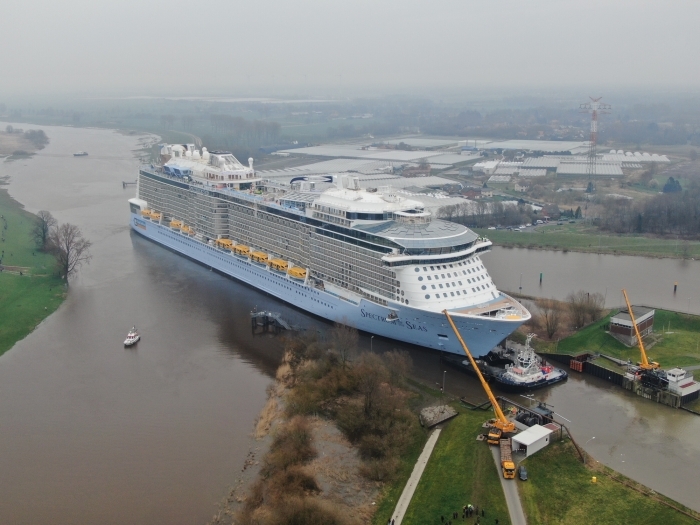 Royal Caribbean says the walk is 0.2 miles over flat surfaces. Upon arrival, I was given a choice of airports to fly to or from. 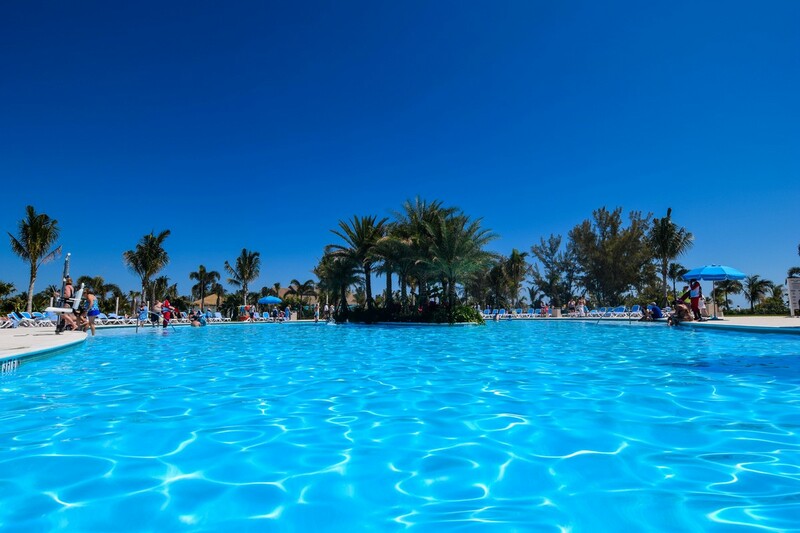 I opted to pick my home airport of Orlando, Florida and fly to nearby Tampa, Florida. I did this because the flight is so short I would be able to take off and land twice. 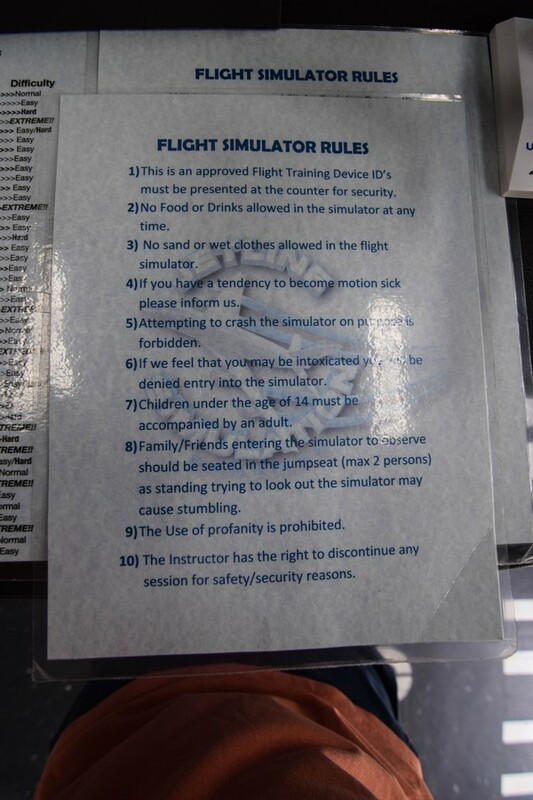 A brief introduction tells you what to expect, as you will hop into a simulator that features the same cockpit and screens around you to mimic the real thing. 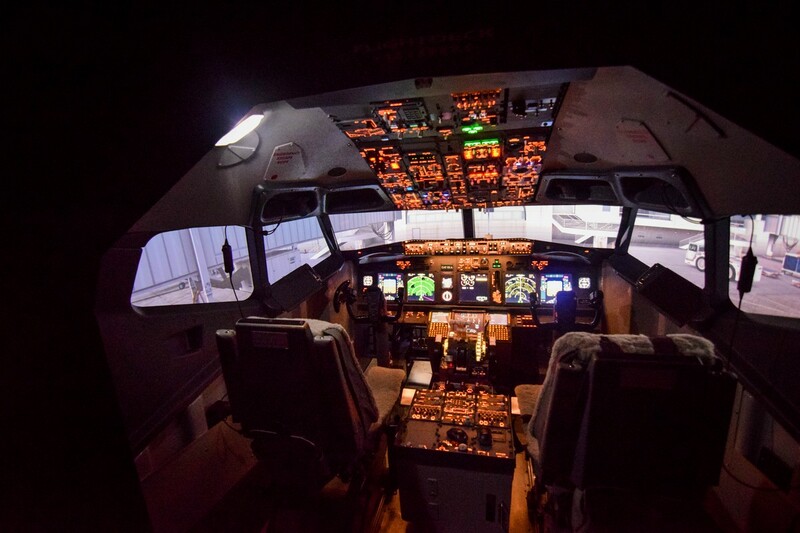 The simulator runs a popular brand of flight simulation software, Prepar3D v4 by Lockheed Martin. You are seated in the pilot's seat, with the flight instructor as your copilot. The flight instructors have real-world flight experience, and in my case, one indicated this was a side job for him while he worked his way up to a real pilot's license and an opportunity to fly. The flight instructor is your guide throughout the process, and will lead you from programming the flight computer, to assisting in push back from the gate, takeoff and landing. The instructor gets a good sense of your experience and can provide as much or as little guidance as you need. While I did two full flights, there is an option just for takeoff and landing if you want to cut out the mundane aspects of flight planning and go right to the fun. 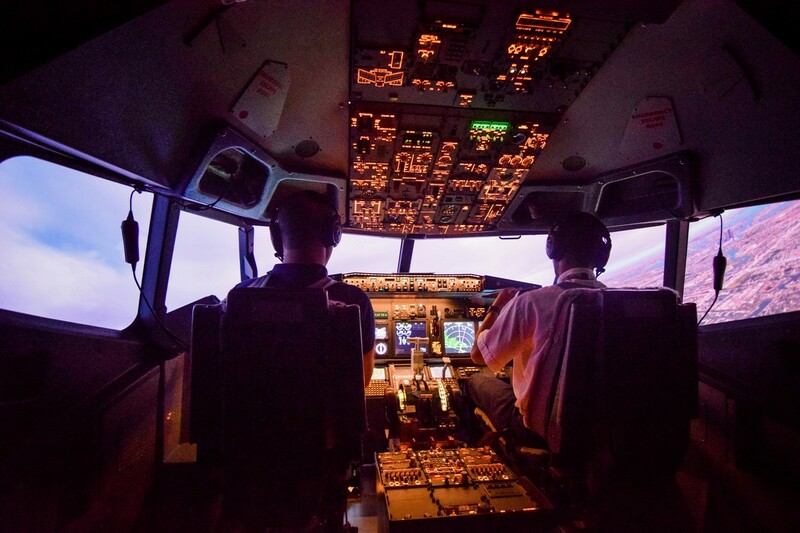 If you have ever thought it would be fun to fly a plane, or wondered about the intricacies of flight, or are simply a geek, this is the excursion for you. 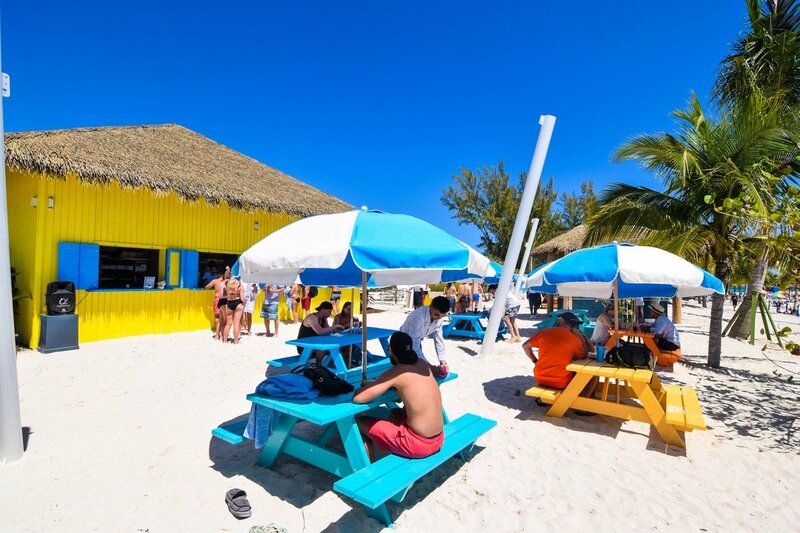 Moreover, it is something completely different from the usual shore excursion options in Nassau, which involve time on a beach or water. 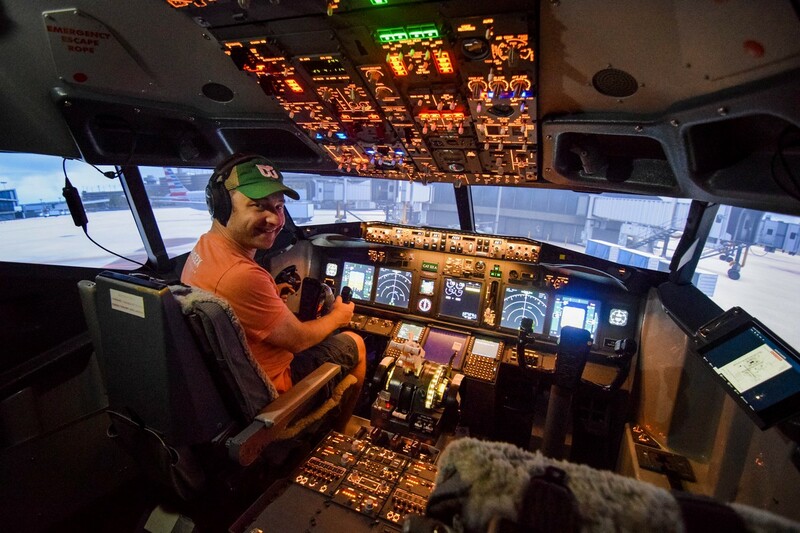 The staff at Jetline Simulation are incredibly helpful and fun to fly with. They lead you along the way and help you from start to finish, allowing you to focus on the fun parts of the flight. 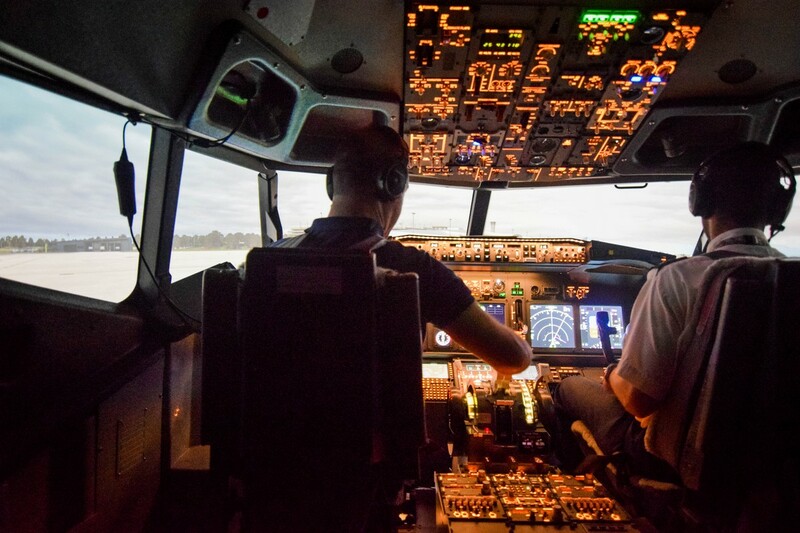 Some guests want to do this as a fun little distraction, while others truly want the challenge of flying an airliner like real-world pilots do. This excursion reminds me of a fantastic moment in Indiana Jones and Last Crusade, where Indiana Jones' father was surprised to hear his son knows how to fly an airplane. This might shock some of you, but I am a geek and have played flight simulator video games for years. I know, it's shocking. Having a fair amount of flight sim experience, I thought I would really ace the flights but having every control available, instead of a keyboard and mouse, proved to be quite the challenge. 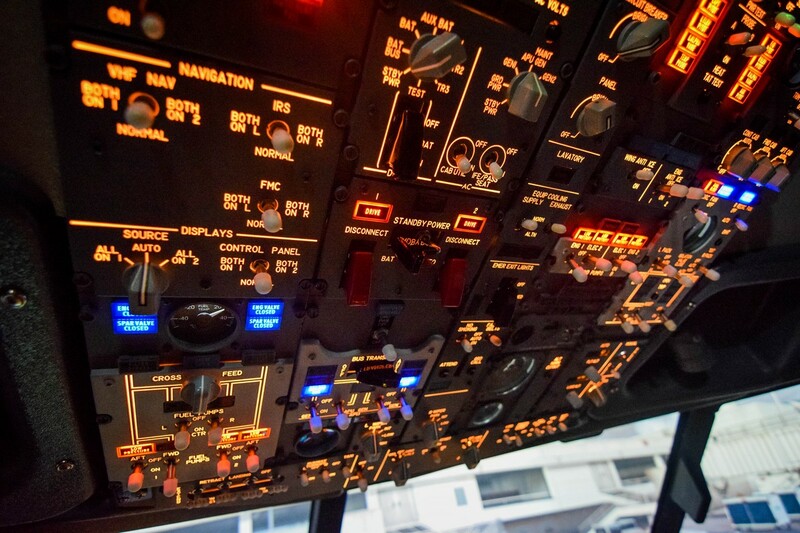 I relished in having access to the knobs, dials and throttles found in a real airliner. 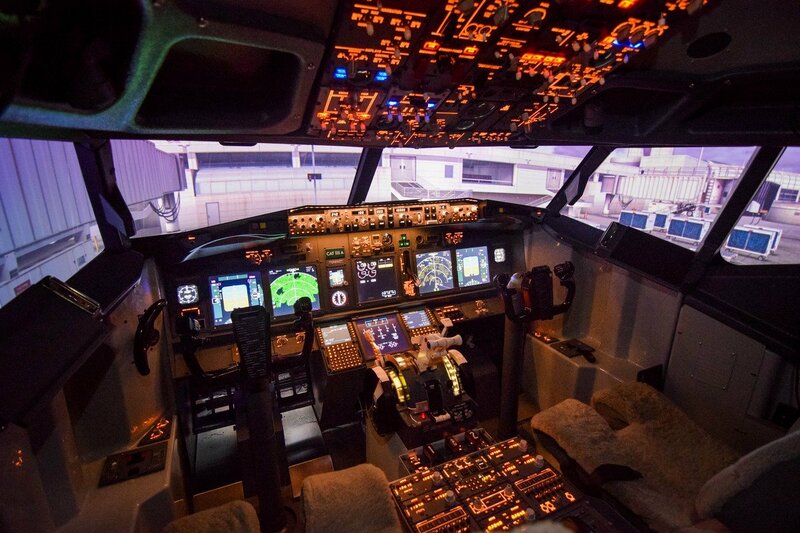 The simulator cockpit is the real deal, with gentle vibrations as you turn the engines on, taxi and take-off or land. There is even recorded announcements from the flight attendants at specific intervals of flight. The only thing missing was the in-flight meal. If you are a fellow geek, you will love this kind of an excursion. At its heart, you are playing a video game. A very intricate and challenging video game. 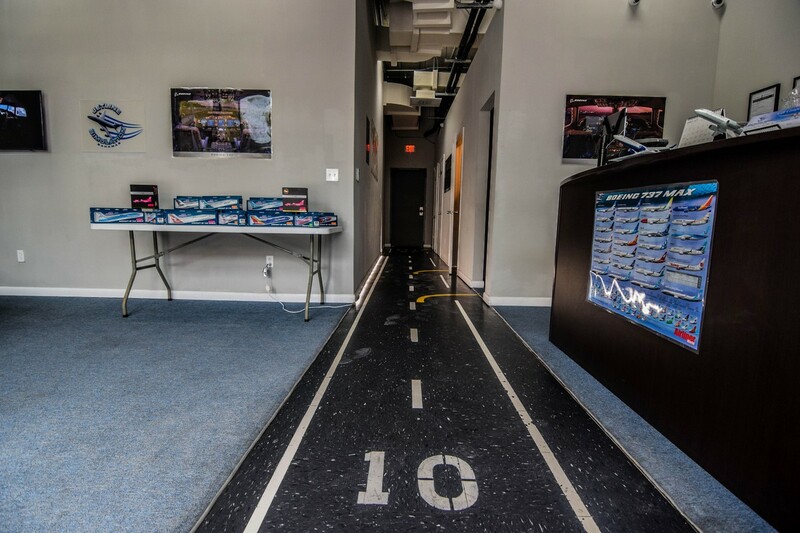 If you are by no means as geeky as I, never played a flight sim game ever, this is still a great group excursion because just like an escape room, learning to kayak, or exploring a mountain, the point of the flight experience is to test your ability to match what pilots do every day. This is also a very short shore excursion coming in at only one hour. 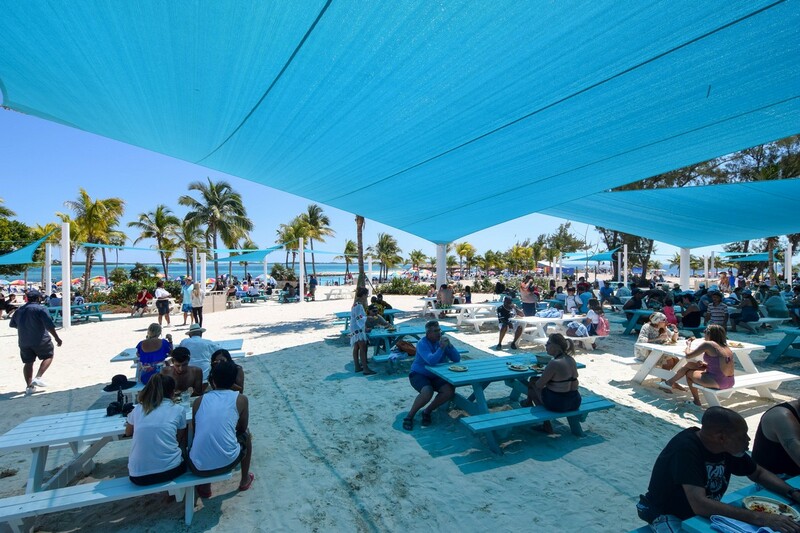 This is great for working in an additional shore excursion or just something to do in conjunction with walking around Nassau. 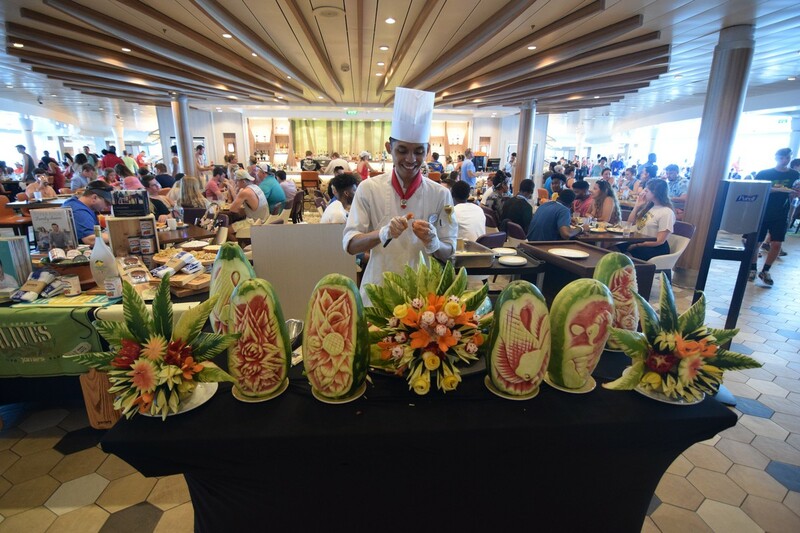 Episode 295 is available for downloading featuring a LIVE review from onboard Royal Caribbean's Mariner of the Seas. 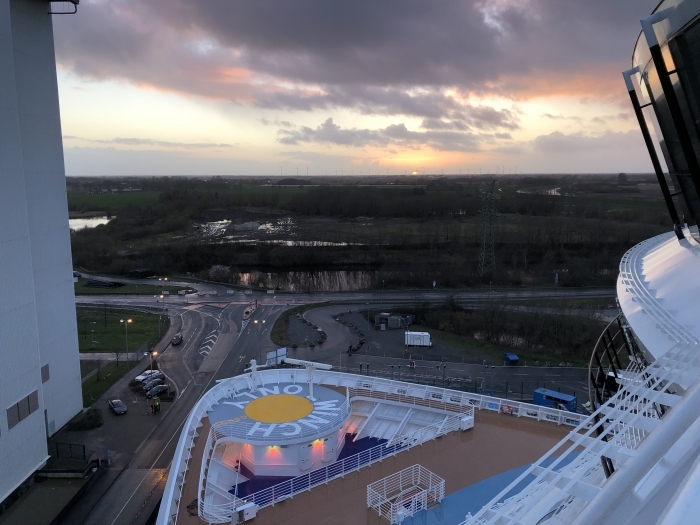 Our latest group cruise has just wrapped up and we recorded this week's episode onboard Mariner of the Seas, sharing our stories and tips for anyone going on back-to-back cruise. Here’s the podcast page for Episode 295. And don’t forget to subscribe to the podcast via RSS, Stitcher or on iTunes! 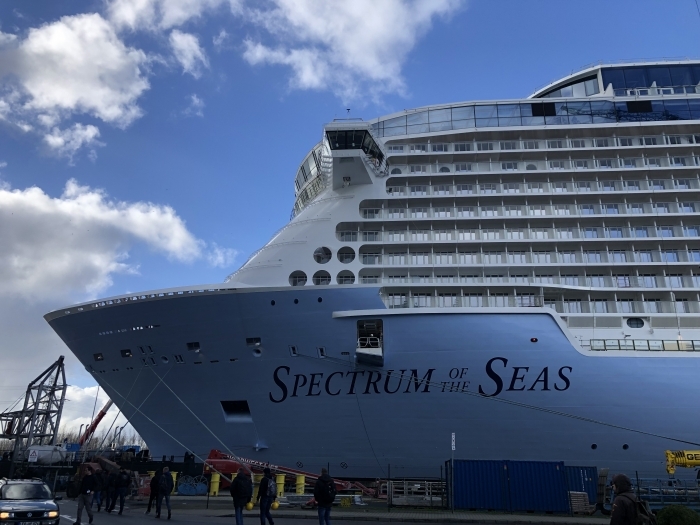 Royal Caribbean has posted its 2020-2021 sailings from Dubai on Jewel of the Seas that will sail to destinations in the United Arab Emirates, Qatar, Bahrain, Oman and beyond. In addition, every Jewel of the Seas sailing from Dubai features an overnight in Dubai. Sailings are available to book for Crown & Anchor members on March 26 and the general public on March 27. 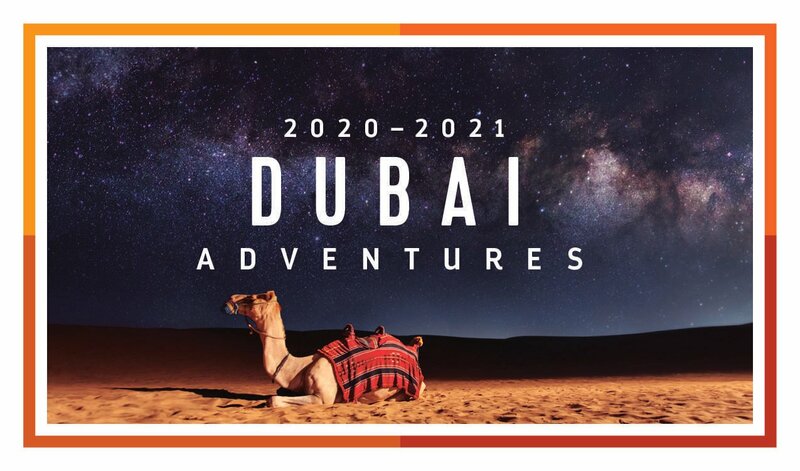 You can view the full list of Dubai 2020-2021 sailings here. 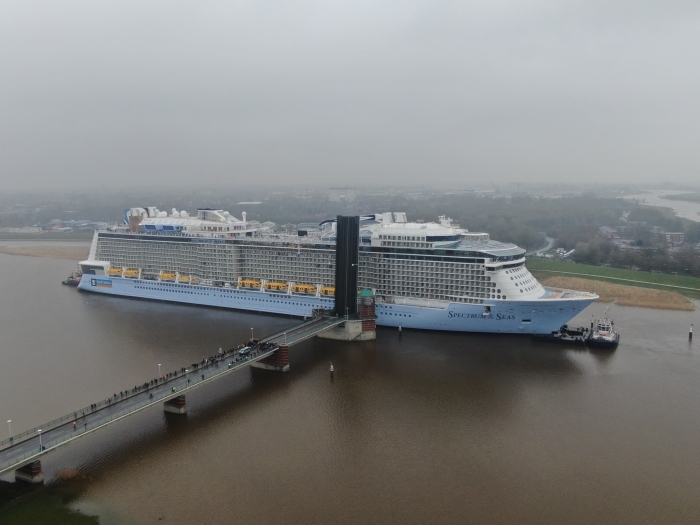 Is Royal Caribbean's The Key worth it? 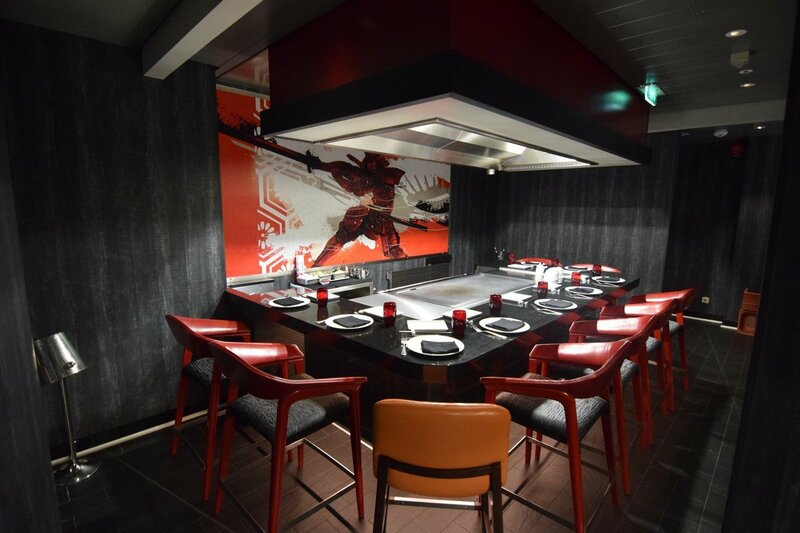 Royal Caribbean's VIP guest experience, The Key, offers some perks and benefits not available to other guests onboard. Inevitably, we get a lot of questions from readers who want to know if The Key is worth the extra cost. Read this breakdown of The Key program, as well as our take on if the benefits it has will benefit you. 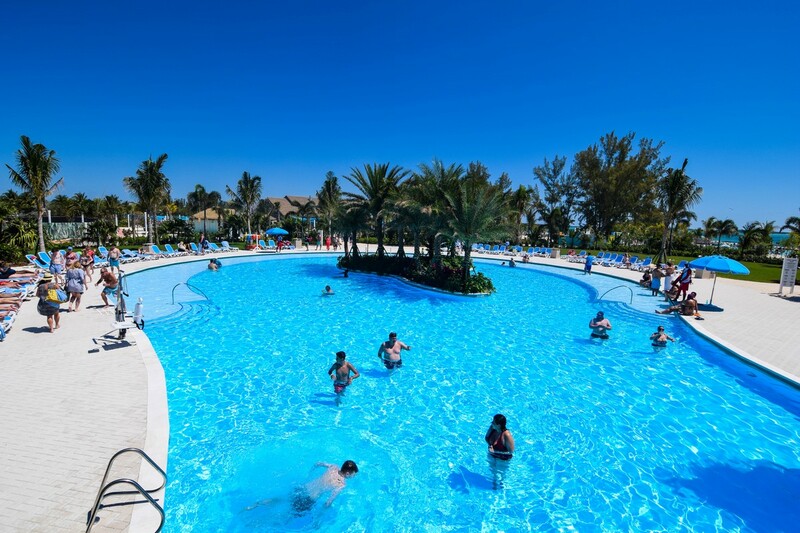 Royal Caribbean offers a limited amount of guests access to The Key, which is an exclusive program that offers special amenities to guests for an additional cost. 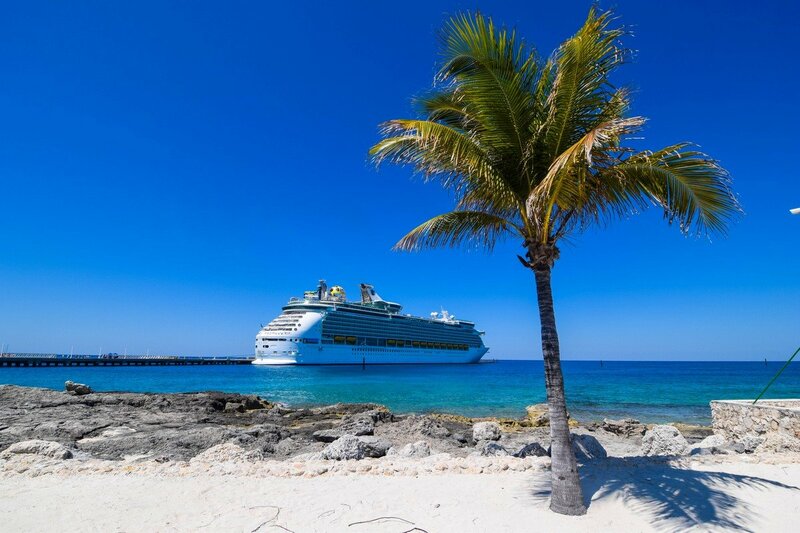 The Key experience is available on all ships except for Quantum, Voyager, and Majesty of the Seas. 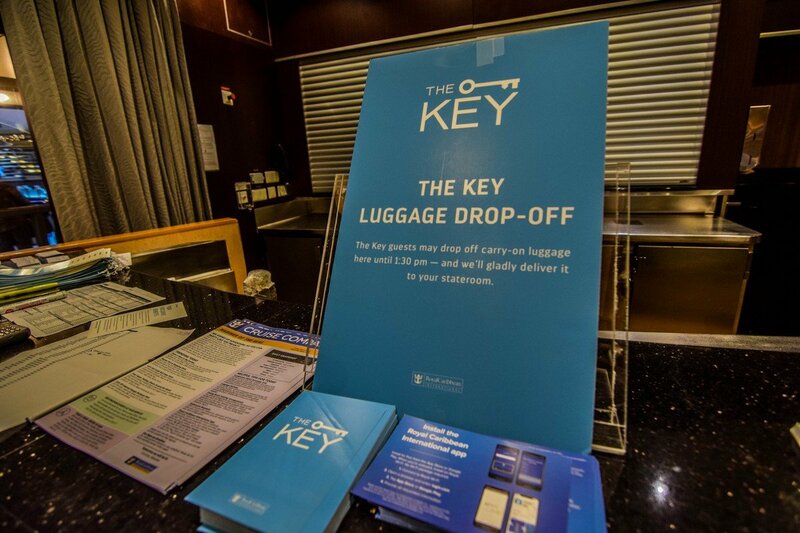 Carry-on bag drop off and delivery to stateroom (two bags per guest). 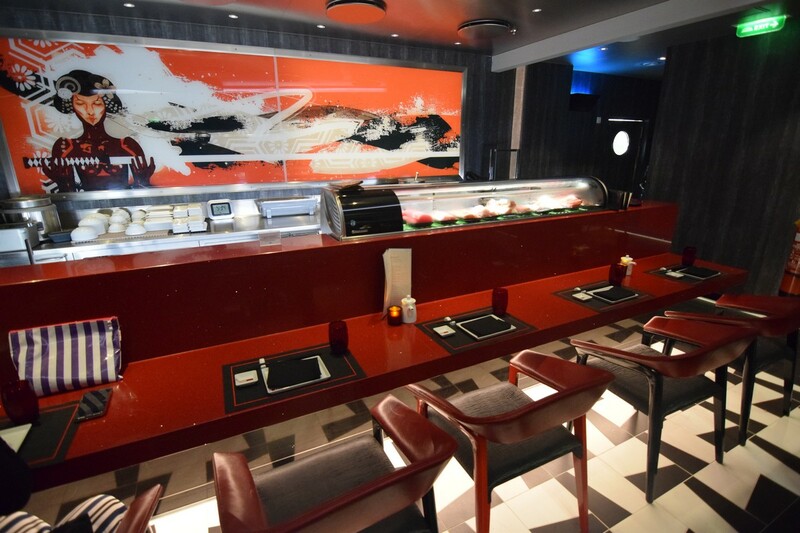 Exclusive lunch at specialty dining venue. You can select your venue of choice once onboard. VOOM Surf & Stream 1 Device high speed internet. 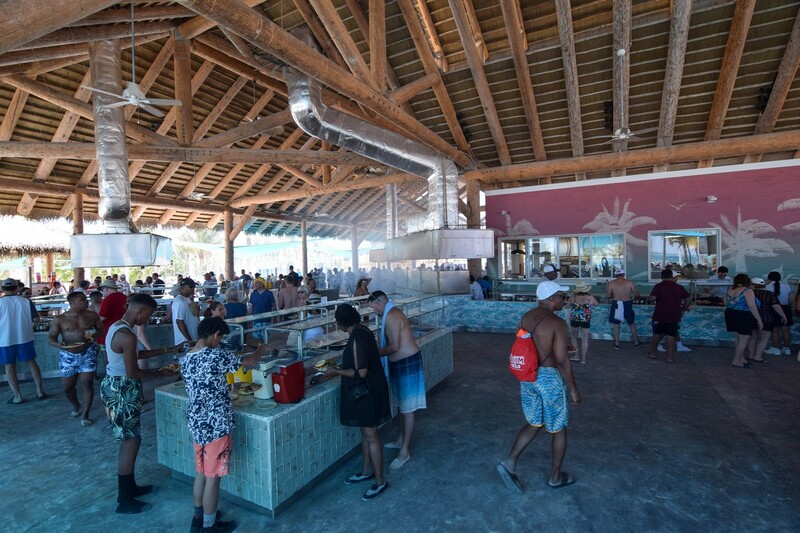 Private hours at onboard activities including Rock Climbing, FlowRider and more. The private hours schedule will be provided at check-in. Reserved VIP seating at shows in the Main Theater, AquaTheater and Studio B. 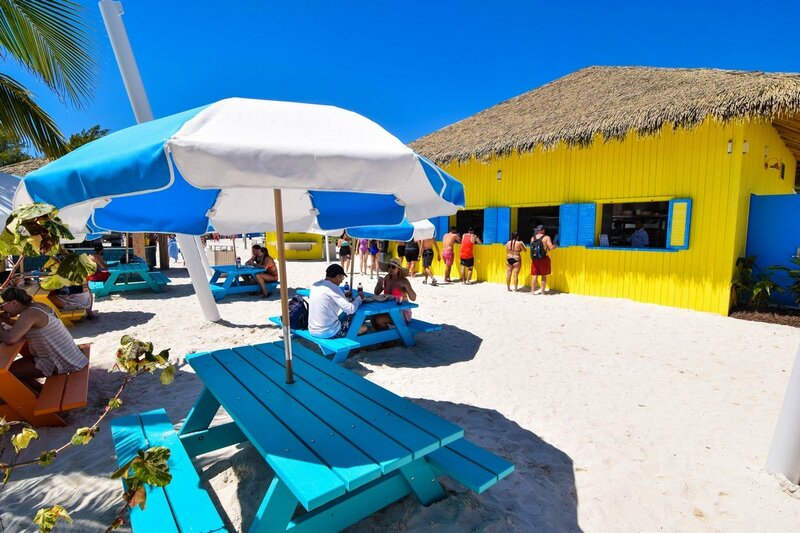 The Key price will vary depending on your sailing, but prices start at $24.99 per guest, per day. The Key must be purchased prior to sailing by each guest age 6 or older assigned to the same stateroom. When you receive your SeaPass card, it will have an icon confirming your purchase of The Key. If you look at the daily cost of The Key, a large component of the cost is built around the Voom internet access that is included. Assuming you were already planning on purchasing an unlimited internet access plan, the cost of a one device, unlimited Surf and Stream Voom package will usually cost around $13.99 per day. Assuming a $24.99 per person, per day cost of The Key, that means the additional cost to you is about $10 per day, per person to enjoy the added benefits. Of course, purchasing a multi-device Voom plan would alter this math, especially since Voom plans are shareable with other guests. 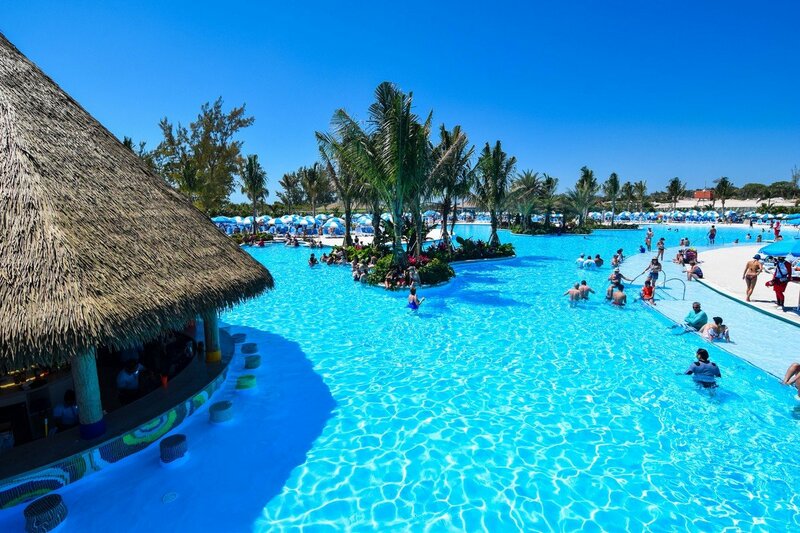 Families are sure to love the opportunity to get on and off a Royal Caribbean ship quicker than most other guests. 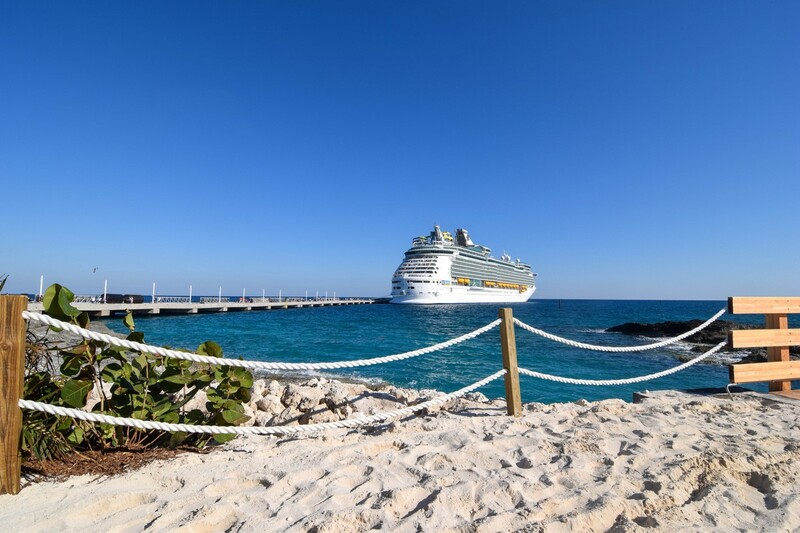 Priority embarkation and debarkation really takes the sting out of waiting around, especially if you are on a cruise that has a port requiring tendering, where long lines for a tender boat are common. 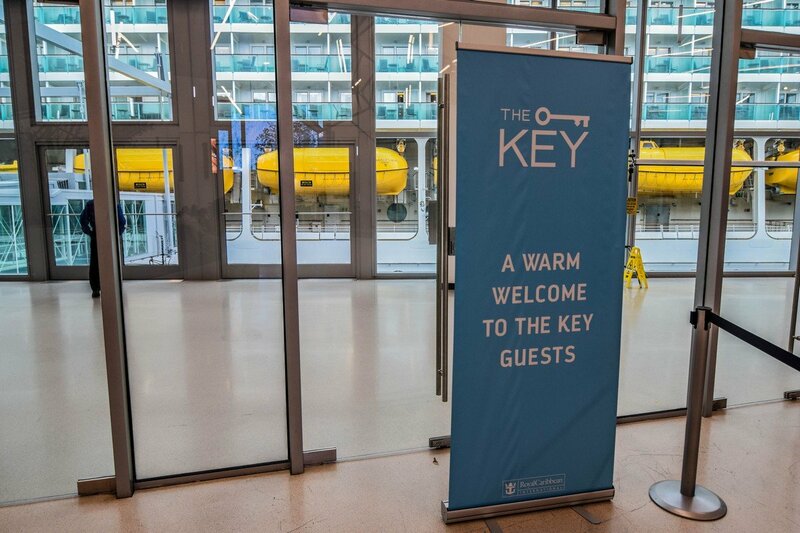 On embarkation day, we have observed The Key guests usually board with Diamond/Diamond Plus guests, so this is especially useful for guests newer to Royal Caribbean. 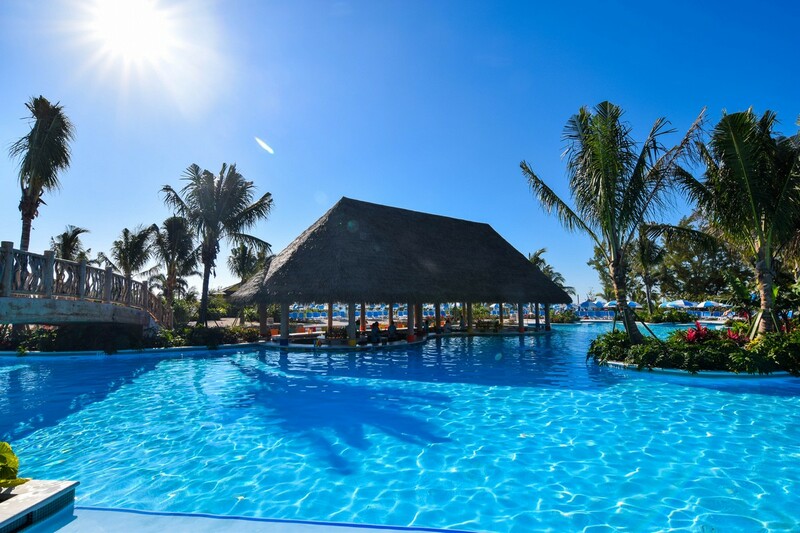 If you are in a suite, this benefit is largely similar to what the suite concierge offers. 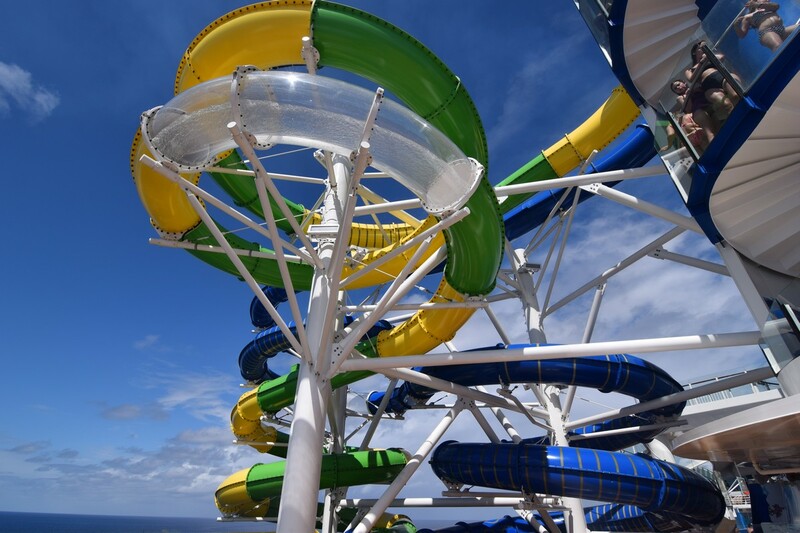 Without a doubt, The Key is built around offering priority access to some of the funnest experiences onboard your Royal Caribbean ship. 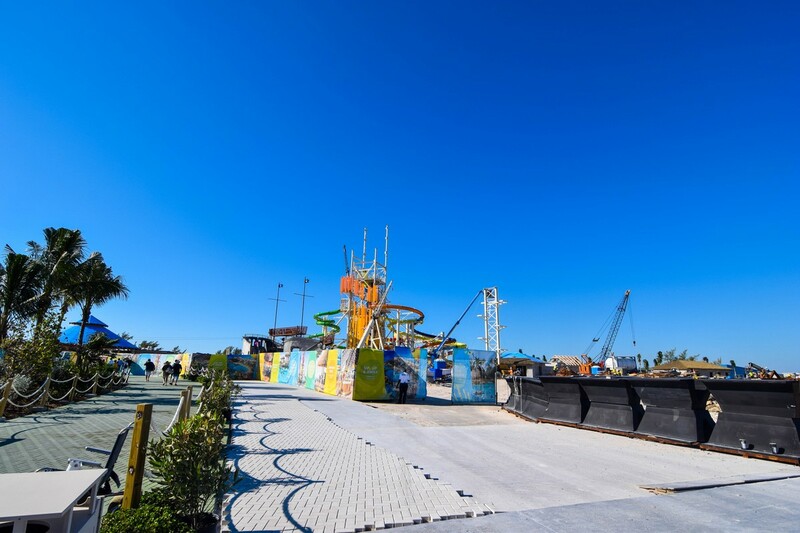 If climbing the rock climbing wall, or surfing on the FlowRider or seeing a Broadway show is of great interest to you, then The Key might make a lot of sense. If you plan to purchase The Key, it behooves you to take advantage of your priority access. 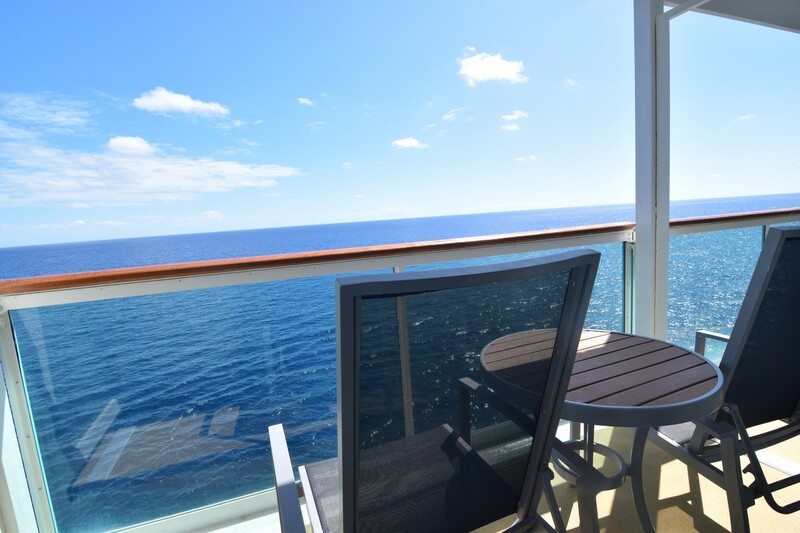 During your cruise, certain blocks of time will be reserved exclusively for guests with The Key. 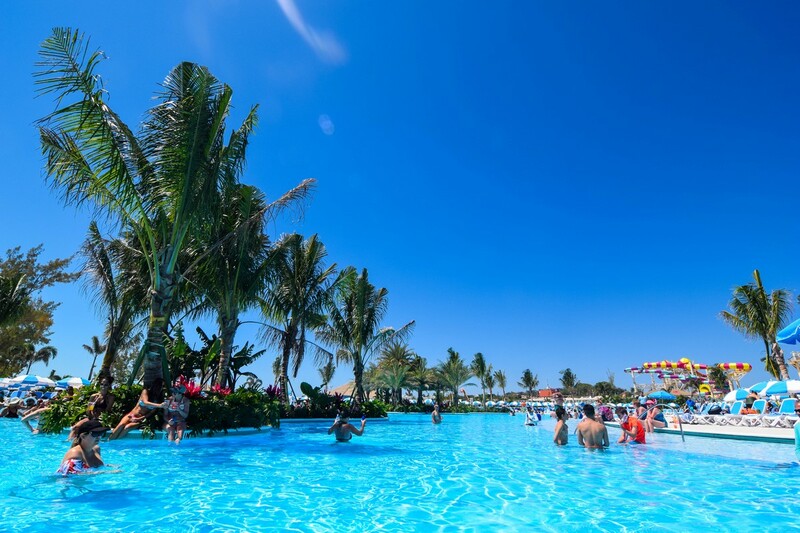 This means you can likely enjoy these popular activities with little to no waits. 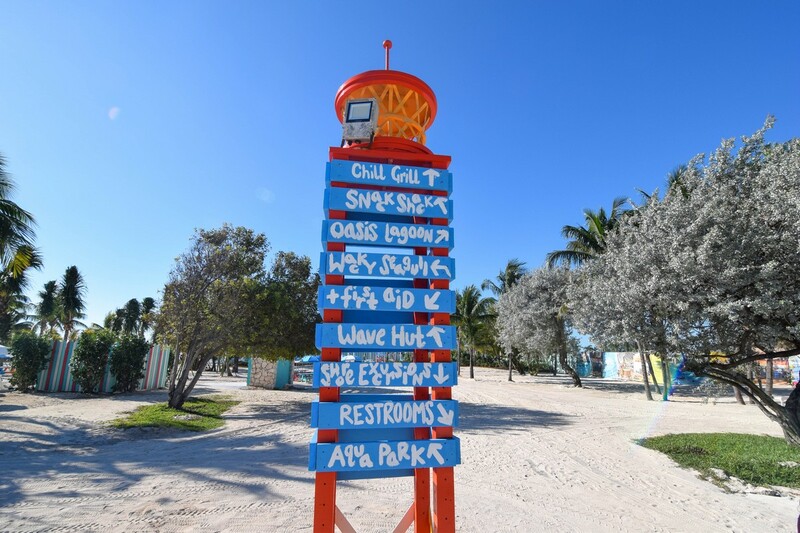 Keep in mind that while The Key does offer priority access to these amenities, priority access for activities is not available anytime they are open. Moreover, the reserved seating in the theater may not be exactly where you prefer to sit. Now that you have a good idea of what The Key is and what it offers, here are some basic considerations for deciding if The Key is worth it. 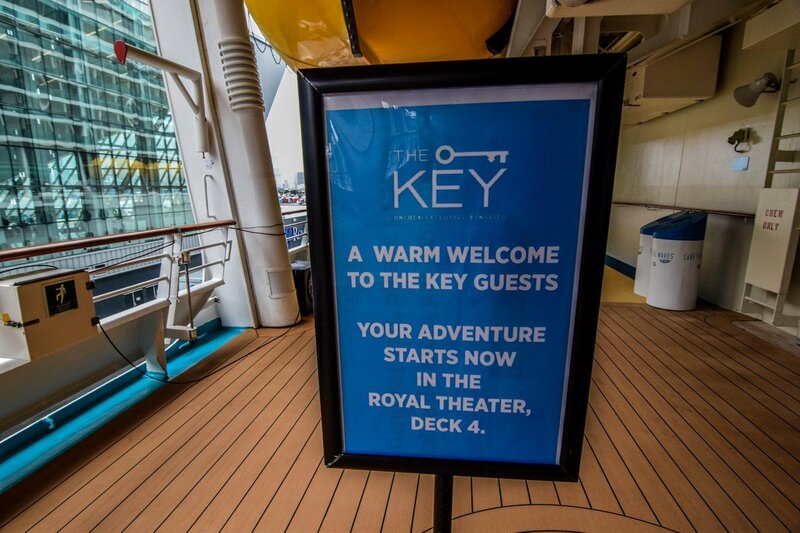 Just like Royal Caribbean's drink package, ultimately the decision to purchase The Key requires the guest to take advantage of what it offers. 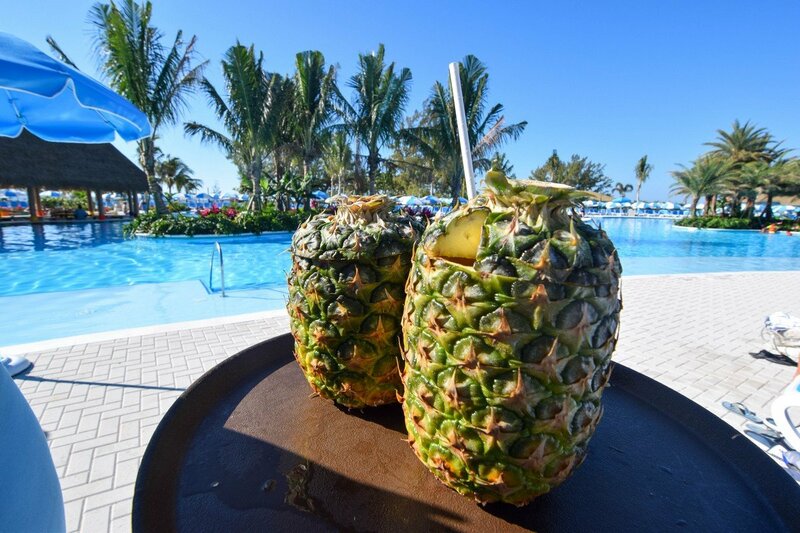 The real value in the program is the priority access it provides, but it requires the guest to take the time to enjoy those benefits. If you are staying in a suite (especially on Oasis of Quantum Class cruise ships) and/or are Diamond or higher in Crown and Anchor Society, we do not think it is worth purchasing the Key, since some (but not all) of the benefits are replicated/similar to what is offered by Crown and Anchor or suite benefits. 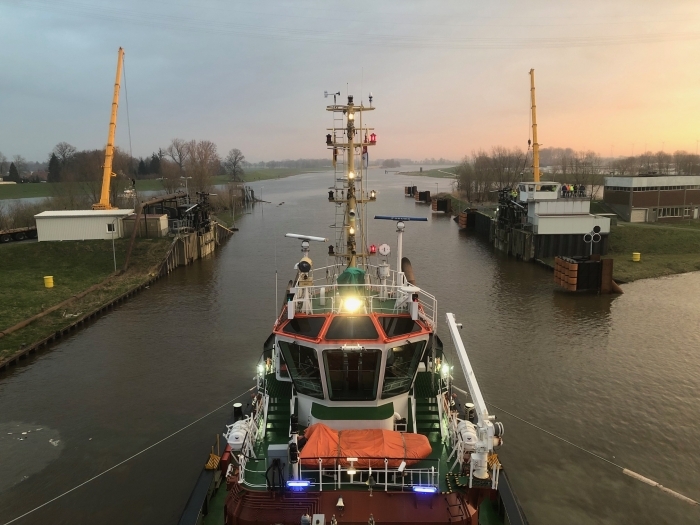 As previously stated, from a value standpoint, it makes a lot more sense to purchase The Key if you were already planning to purchase internet access on your ship. The reality is there is no single answer that applies to everyone. In many cases, it boils down to how many benefits The Key affords will be something you will want to enjoy. Ultimately, The Key is a way to splurge a bit and enjoy enhanced benefits otherwise not available. If the notion of enjoying priority access and less waiting sounds appealing, The Key is potentially a great idea. Do yuou think The Key is worth it? Tell us why in the comments! The last day of our back to back group cruise is here and it is our first sea day! After six days of cruise fun, we took things a little easier to start today. We woke up to fabulous weather, with the sun shining and warm temperatures. We had a leisurely breakfast in the Windjammer, followed by a nice morning walk around the ship. The kids enjoyed the morning session at Adventure Ocean while my wife went up to the sports deck for a bit to do some people watching. 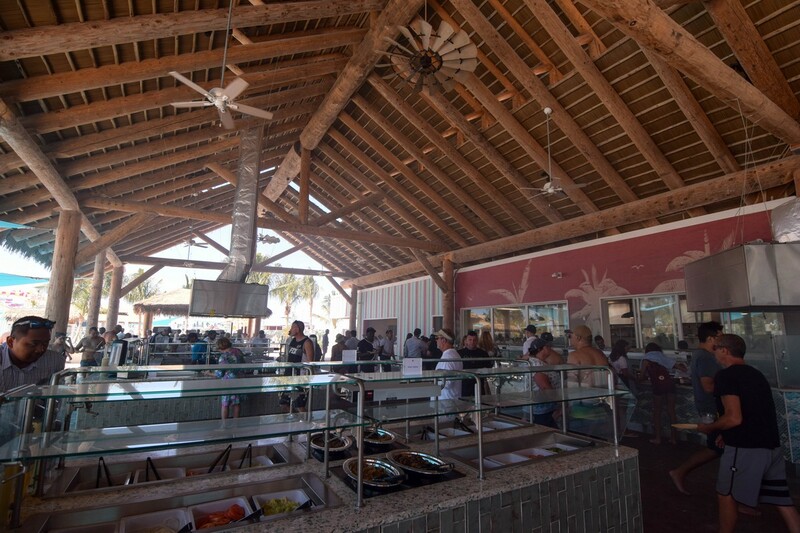 For lunch, it was back in the Windjammer and the highlight was the make your own gyro station. Next up we tried our hand at afternoon trivia, where we lost. I did learn that goats have rectangular pupils! 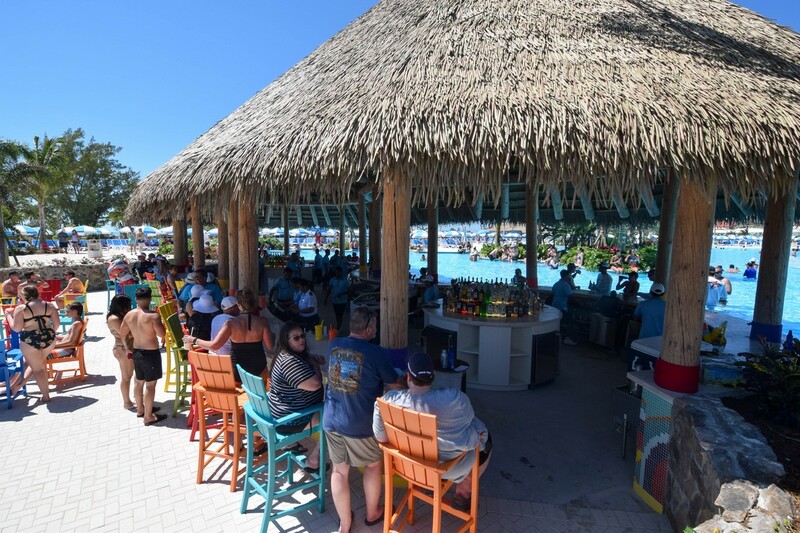 Our first meet of the day was for a bar crawl around the ship, where we hit up the Sky Lounge (pool bar), Bamboo Room, Schooner Bar (along with a stop for trivia again) and then Boleros. 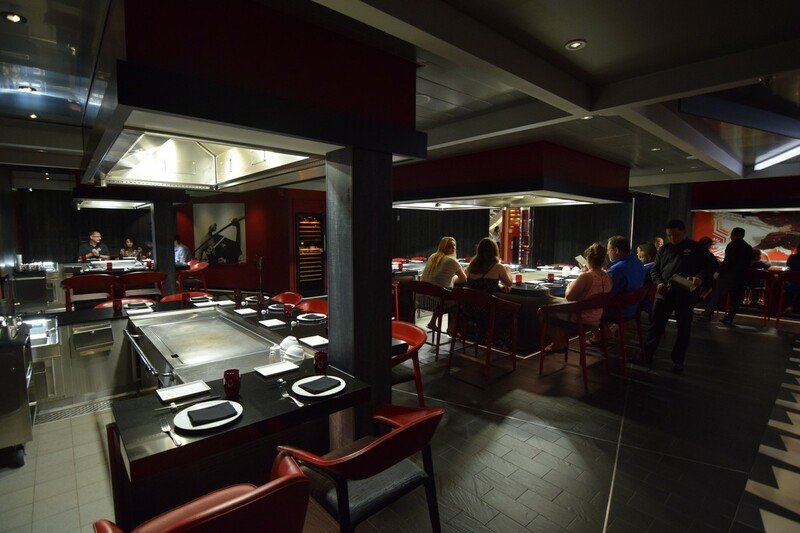 We booked an early dinner and took the kids to Izumi Hibachi. 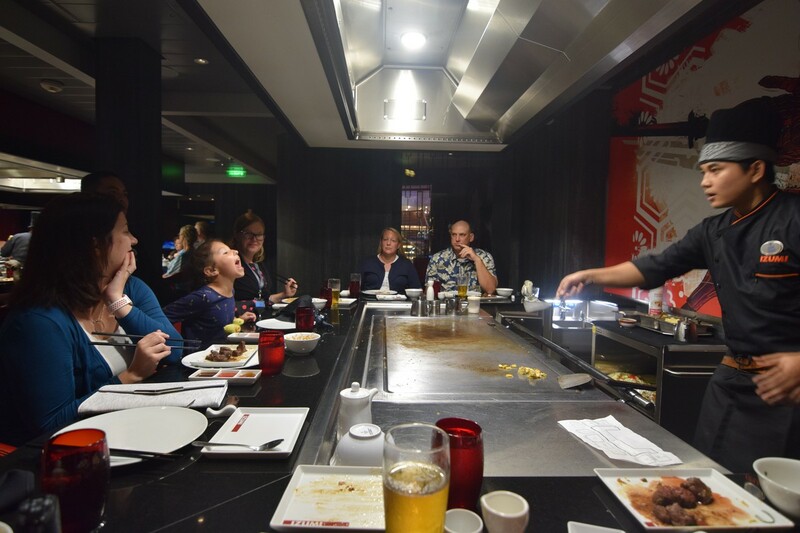 Hibachi is always a hit with our family, and it is a terrific meal as well. 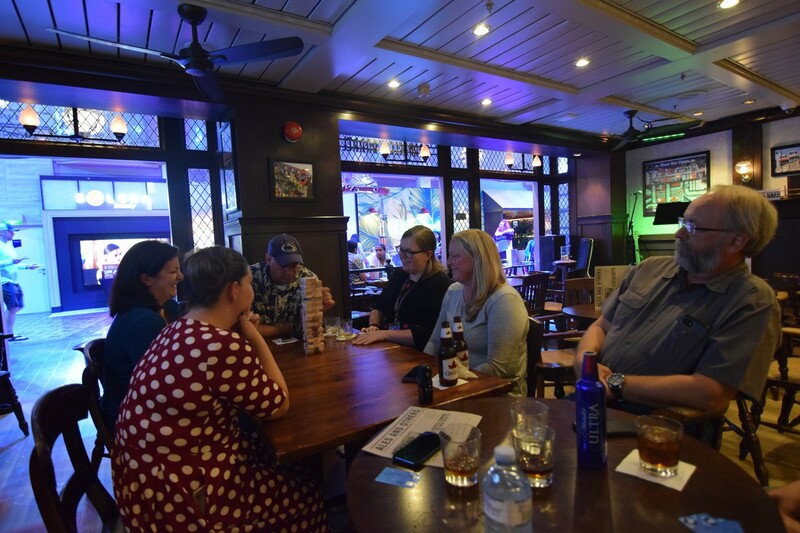 To round out our group cruise activities, it was time to record a podcast episode with everyone who cruised with us. We got to share stories and talk about what we liked about Mariner. Look for that podcast episode next week. 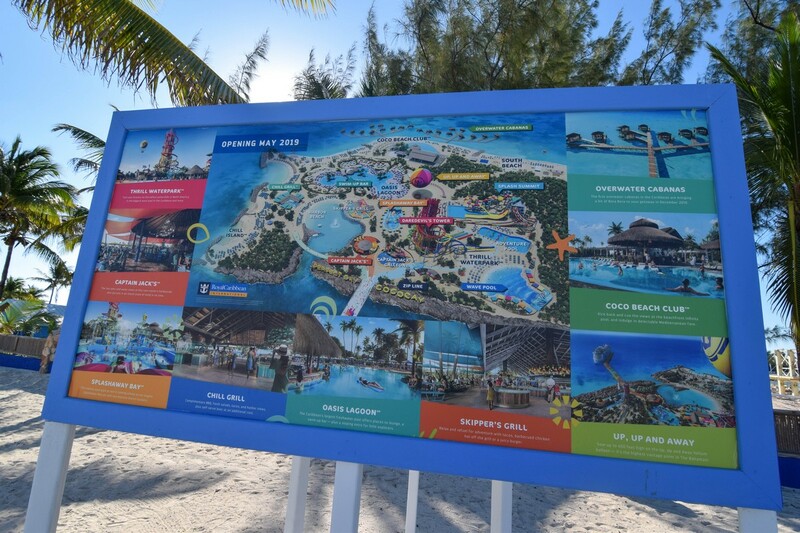 Overall, we had a really great time on Mariner of the Seas and we were extremely fortunate to have had the distinction of being the first ship to dock and disembark in CocoCay, as well as to check out the new venues that opened. The weather was mostly great, and the crew had so much enthusiasm and hospitality towards us all. Moreover, I thoroughly enjoyed spending time with the group booked on each leg of this sailing. I am honored to have had the folks in this group spend their vacation with me and my family, and I know we all had a great time together. 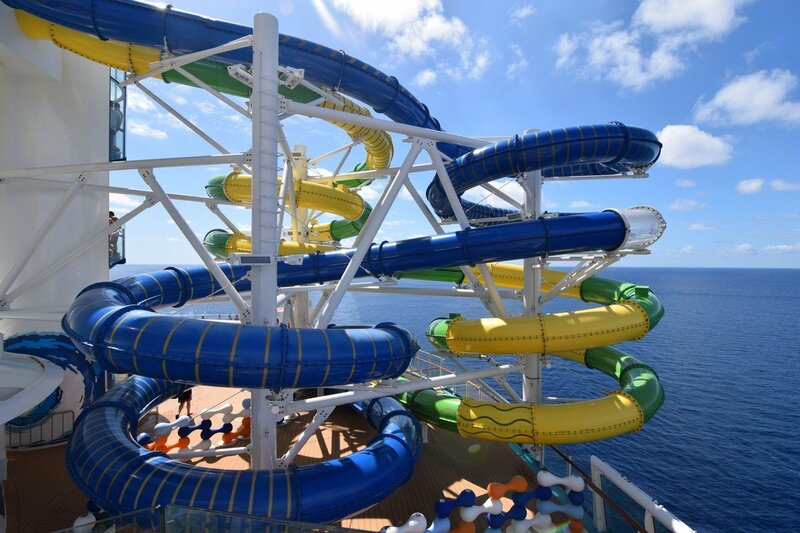 I already cannot wait for our next group cruise on Anthem of the Seas over July 4th! 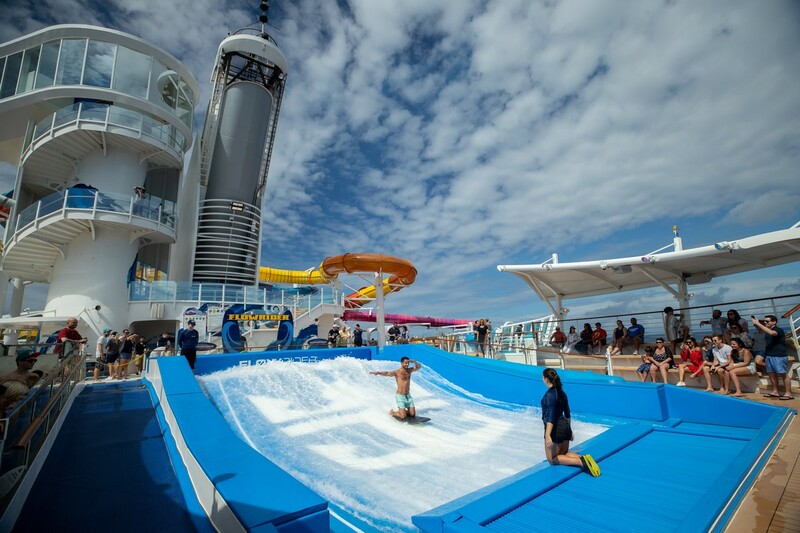 I loved the updates Royal Caribbean made to Mariner of the Seas, and together with the amplified Navigator of the Seas make for a dynamic duo of great weekend cruises. 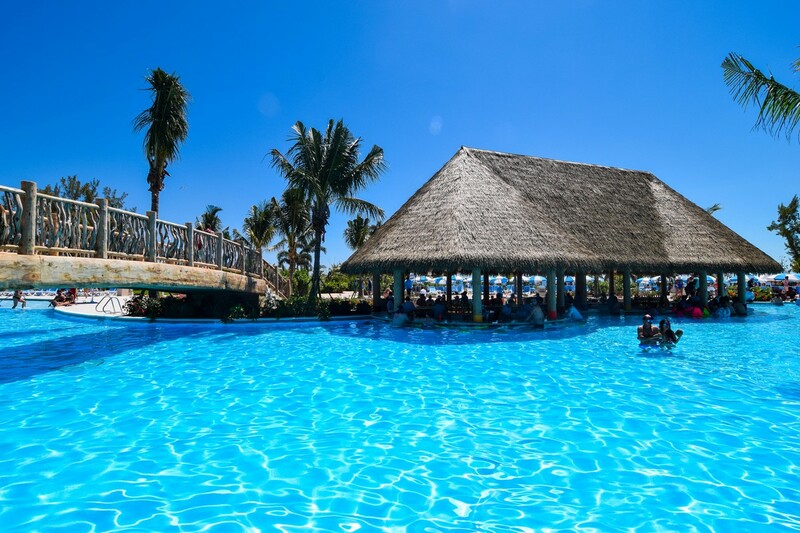 When considering these three and four night sailings, do not hesitate to try them out yourself. 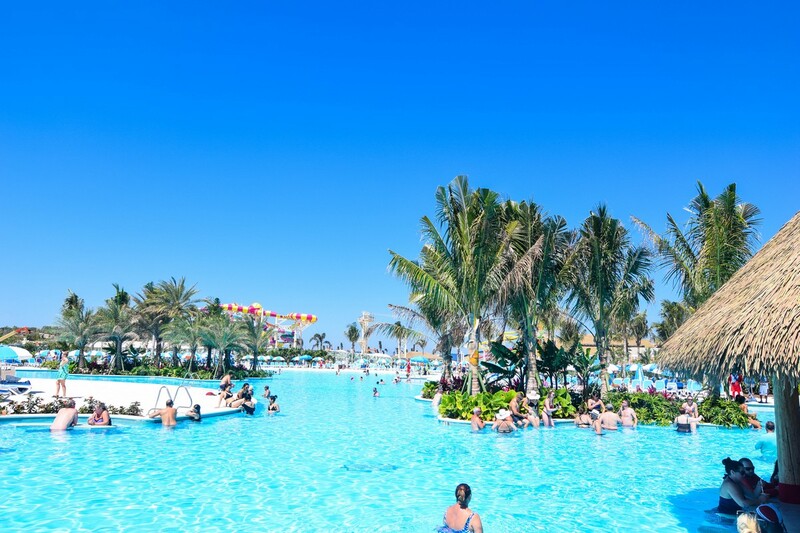 Heck, do what we did and book a back to back to have ample to time to see it all, especially with Perfect Day at CocoCay coming up! As always, thank you to everyone who followed this live blog and helped make this fun for me to recall each day. 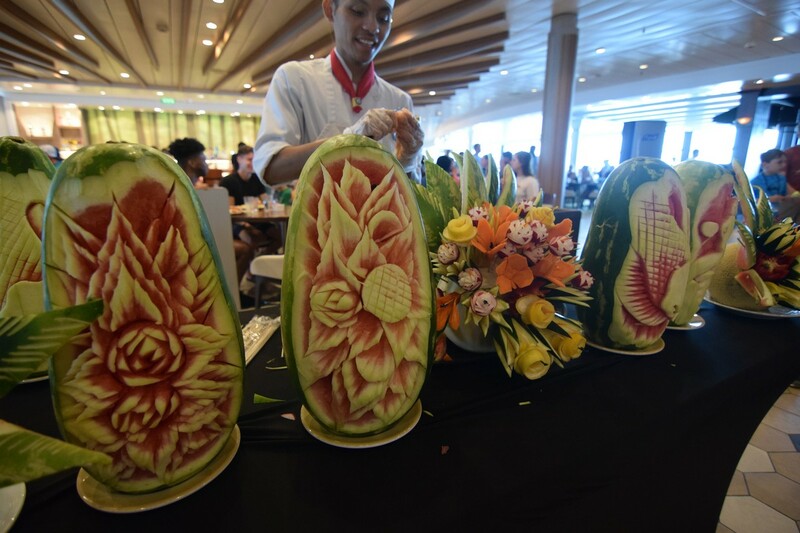 Our next live blog kicks off in May on Harmony of the Seas! 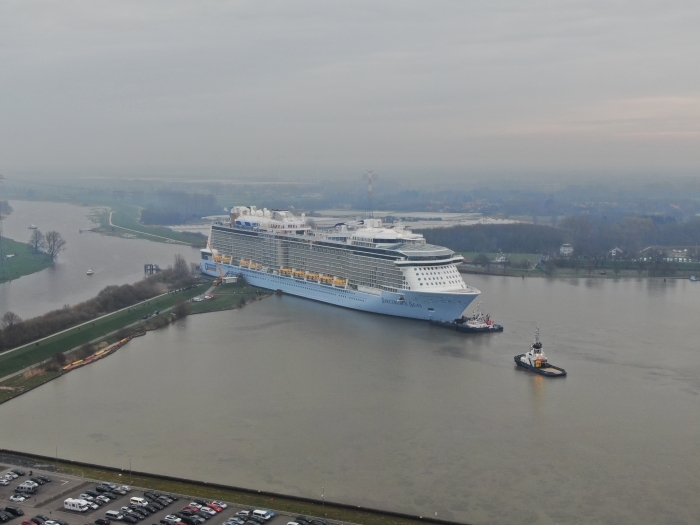 Spectrum of the Seas began her conveyance up the River Ems, and Royal Caribbean shared photos of the event.